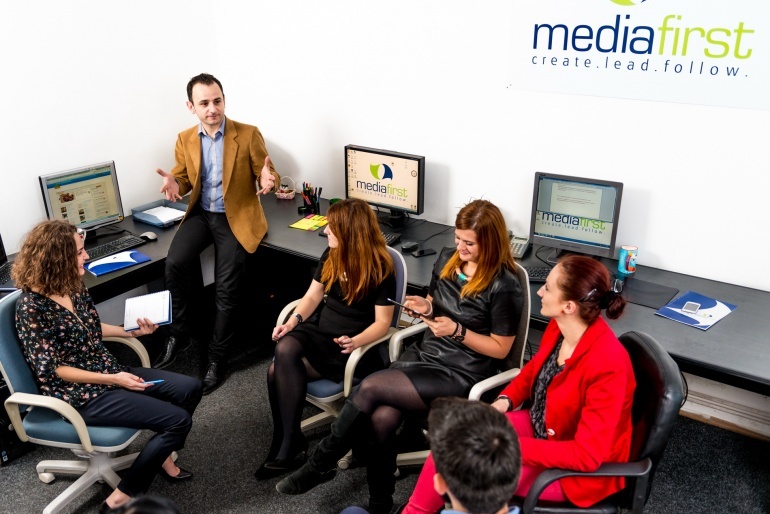 The Media First Development and Creation Studio prides itself with experts in the complete development of websites, ecommerce, online stores, databases, CMS (content management system) and online software systems, optimized mobile phone websites, as well as intranet and CRM apps. In short, we know our business very well and have some of the best people in the field. From new concepts, to third party solution integration, we have tackled all. Thus, whether you need millions of pages or expect millions of visitors, we can certainly offer the perfect solution for your business. Our Media First web development team has more than 10 years of combined experience, which includes website development specialists, database development, user interface design (UI) and software engineering. They manage to easily mix utility with security, feasibility and stability into a unique solution that you can easily keep using, through our CMS or management panel, called MEDIACMS. It is more than obvious that our highly competent team is always up to date with the latest web technologies, including PHP, AJAX, jQuery, HTML5, CSS and MySQL – but, unlike most digital agencies, we do not hide our talents. All our web developers are client-oriented, meaning that you have direct access to the main members working on your project. Our in-house online marketing and SEO optimization team will be directly involved in the development of your website to ensure that it observes the best search engine structure and that it is organised to provide the best possible SEO results through proper optimisation. The online deployment is not the end of a project – it’s the beginning of the website’s activity. It must be supported and adapted to respond to user activity while also targeting changes that may arise within your business. A partnership with Media First will ensure sustained support, keeping pace with the latest digital innovations – all these to make sure that your results are getting better. We are ready today to become your partners. Our team is waiting for you through the contact form.